Are you in the market for a filter that reduces a wide variety of contaminants, even lead? 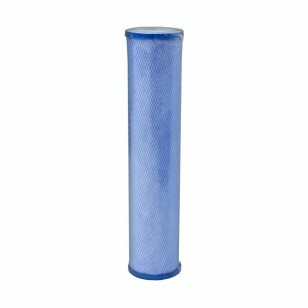 Look no further than the Harmsco HAC-BB-20-W carbon filter. The activated carbon with the filter enables the reduction of chlorine, lead, and sediment. In fact this filter has a higher dirt holding capacity compared to string wound filter options. Made of coconut shell carbon, and a polyolefin filter media, you can expect great results. The 20 x 4-1/2 inch size allows this cartridge to fit in a wide variety of applications, whether it be commercial or residential. Commercial usage includes industrial, marine/aquatic, and food/beverage. Order the Harmsco HAC-BB-20-W Carbon Filter today!